After Karl Lagerfeld, Carine roitfeld, Tom Ford and others Hunter & Gatti Joins HUMOR CHIC! Humor Chic Toilet Very Chic - Cristian Borillo and Martin Céspedes, maniacal perfectionists. 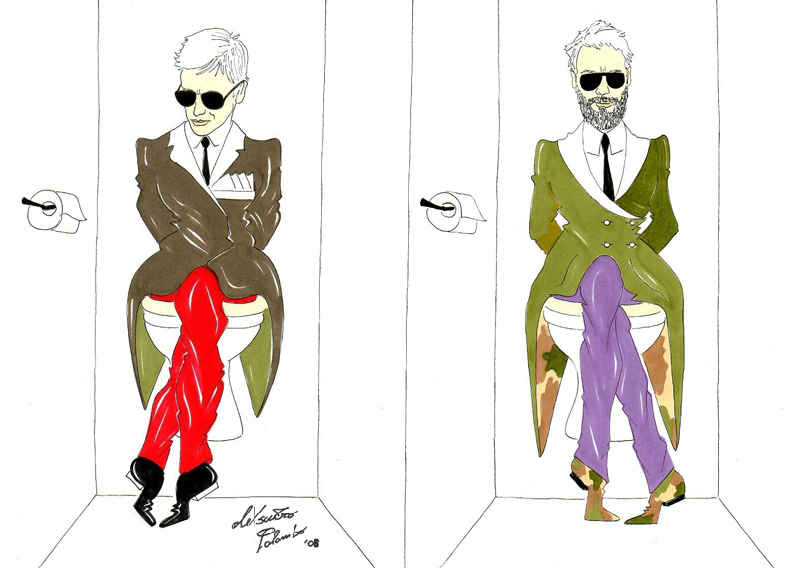 Toilet Very Chic has developed a cult following, and to inaugurate this season's new cycle a meeting has been organized with two of the hottest figures in the New York creative scene who have been so kind as to reveal their most private side to us. We are refering to that fabulous couple, Cristian Borillo and Martin Céspedes, directors of viewonfashion.com and the Hunter & Gatti advertising agency. Their secret for staying cool? Doing everything... in elevation!